“The Women Out West Awards foster recognition of women throughout the Orana, Central West and Far West regions of New South Wales who live remarkable lives, inspiring others … and celebrates their achievements and contributions, including those not usually recognised by other Award programs” – when something encompasses so many virtues we believe in and strive for we simply couldn’t imagine not being a part of it! Living in the very unique – but somewhat remote – west that we do, we understand the challenges women out this way can encounter. Organisations like Women Out West (WOW) provide a forum (a haven, if you will) for regional women to network, share, learn, develop and experience life together on both a personal and business aspect. That’s why Lost Sea Opals is proud to be a sponsor of the WOW Awards. Established by the WOW Board in 2010, hundreds of inspiring regional women are nominated for these awards each year. We can’t wait to hear the deserving winner of the “Lost Sea Opals Award for Outstanding Inspirational Leadership – bringing out the best in others” announced! This award will go to “a woman who demonstrates visionary leadership that brings out the best in others through inspiration and collaboration” – just wow. 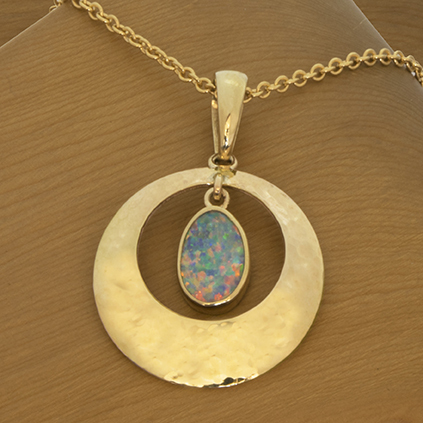 In addition to sponsorship, we are donating the “Golden Blaze” pendant – a 9k gold piece from our Lost Sea Opals signature collection, featuring Lightning Ridge opal valued at $1,795. The awards night will be held at Dubbo, RSL Auditorium, on Saturday, November 26. Mothers Day 2016 - Gift Ideas & Giveaway!